Trace heart stencils onto foam and cut them out. 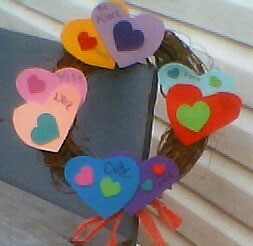 Glue hearts onto the wreath. You can write valentine sayings onto hearts. Add decorative ribbon.